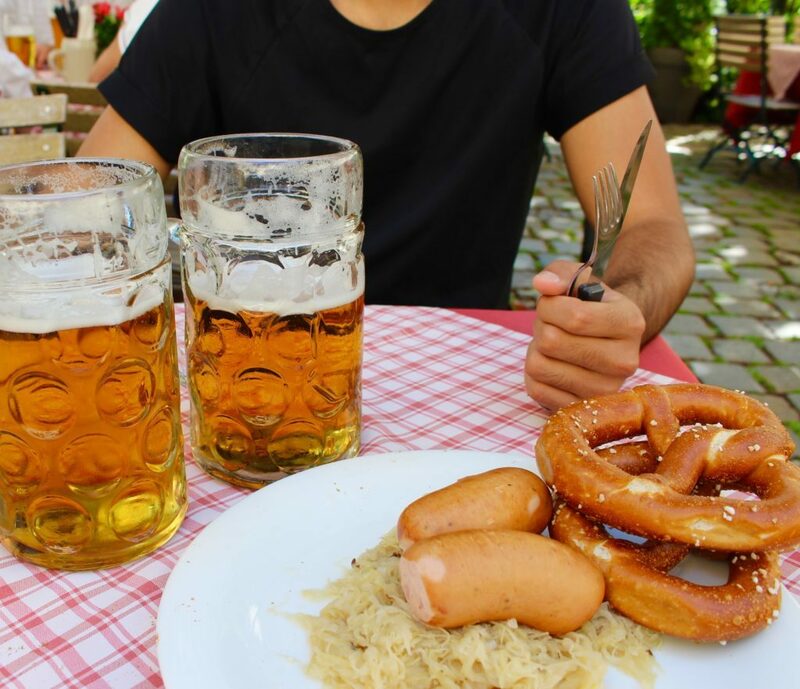 Everyone knows Germany as the land of bottomless pints, sauerkraut and bratwurst, Oktoberfest, and fast cars. 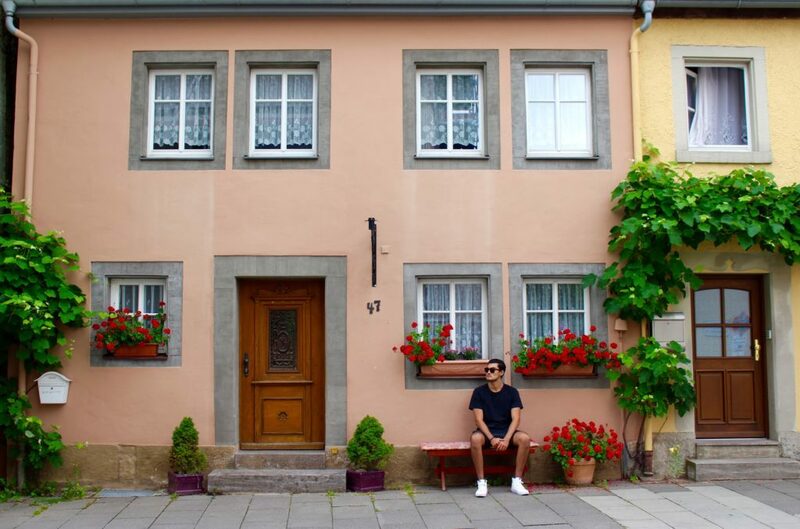 But if you’ve been to Deutschland, you know that it has so much more to offer — including romantic, fairy tale towns that look as if they should only exist in children’s storybooks! 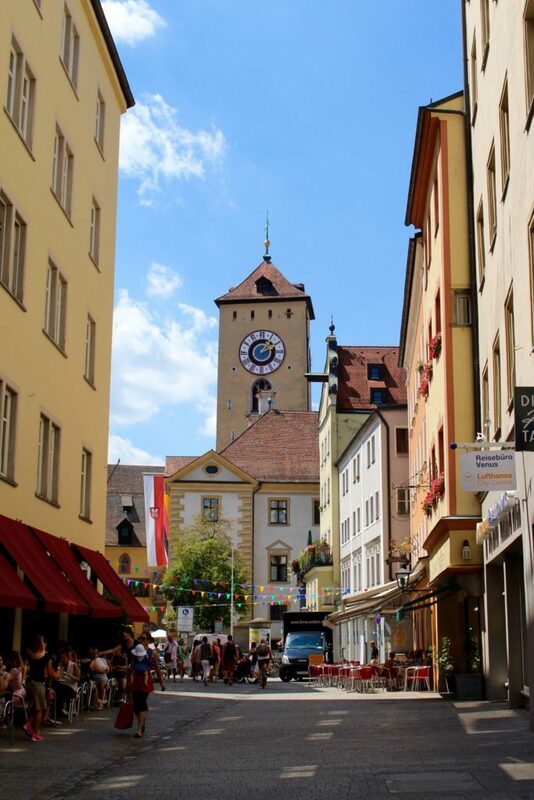 During our Grand European Tour with Viking River Cruises (which sailed through Hungary, Austria, Germany, and the Netherlands), we stopped at the most magical medieval towns in the regions of Bavaria and Franconia. 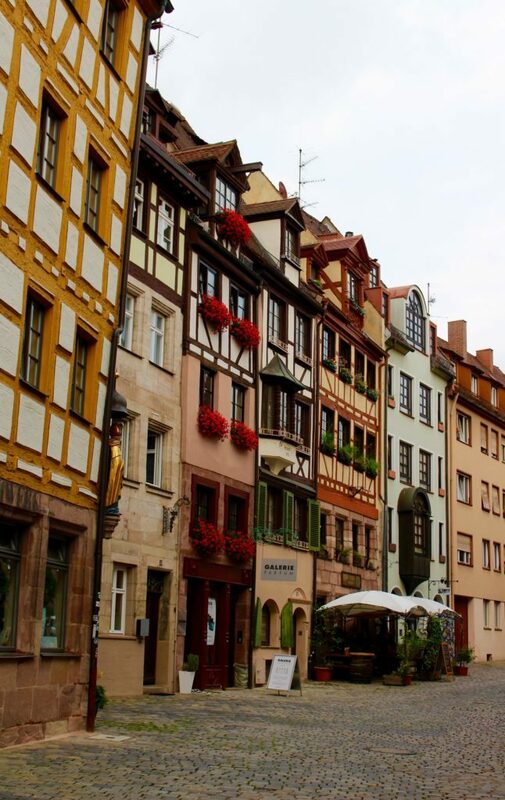 These fairy tale towns in Germany are so well-preserved, enchanting, and simply beautiful, that you can’t afford to miss them either, during your next trip to Europe! 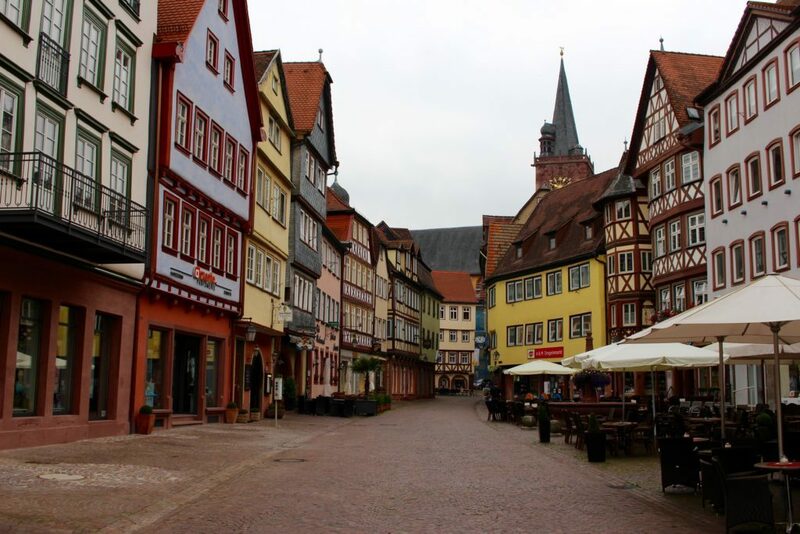 So without further ado, here are five fairy tale towns in Germany that you must visit… Like now! 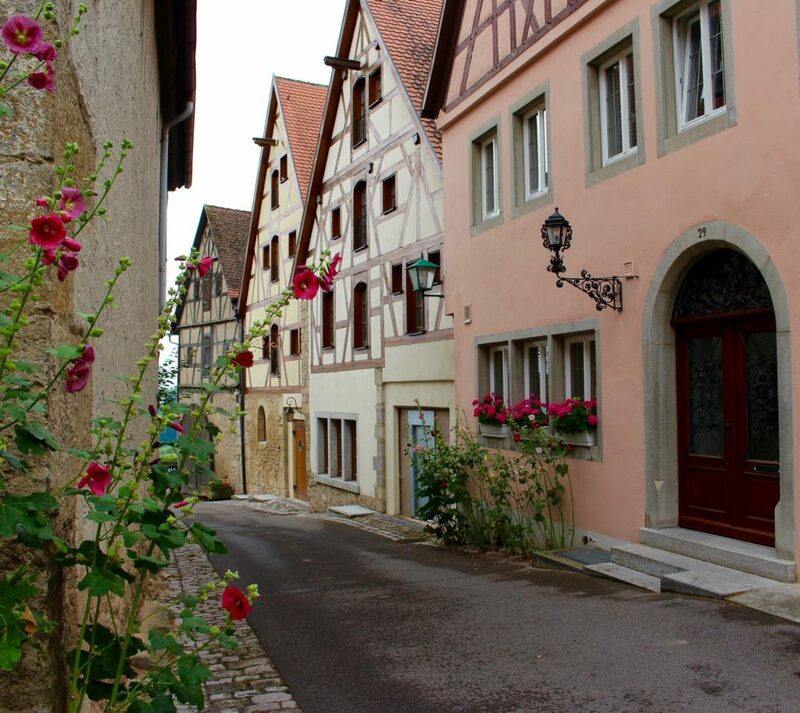 Rothenburg ob der Tauber, which occupies the region of Franconia, might be the most beautiful town in all of Germany! 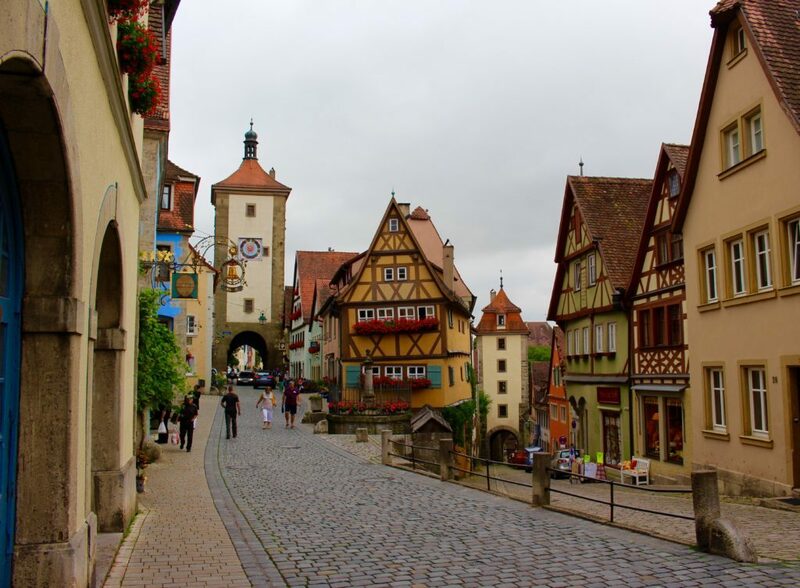 Visit Rothenburg ob der Tauber to walk the streets of a perfectly preserved medieval town, walk inside the town’s surrounding fortress, take in the bright colors of each old building, and drink fresh-pressed apple juice in the town’s main square. 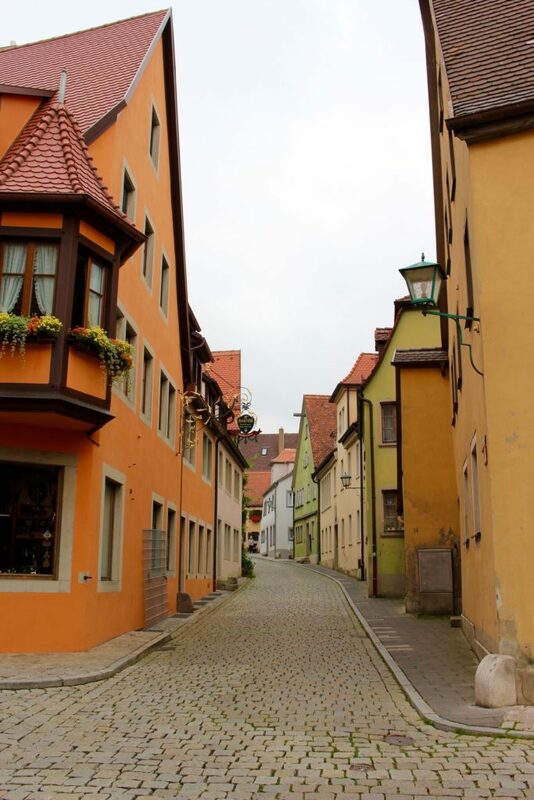 Rothenburg is also the place to shop in Germany! Make sure to look around for Christmas ornaments and decorations, as well as hand-carved trinkets, beautiful cuckoo clocks, and unique souvenirs. When it was time to return to our Viking ship, we almost couldn’t leave. 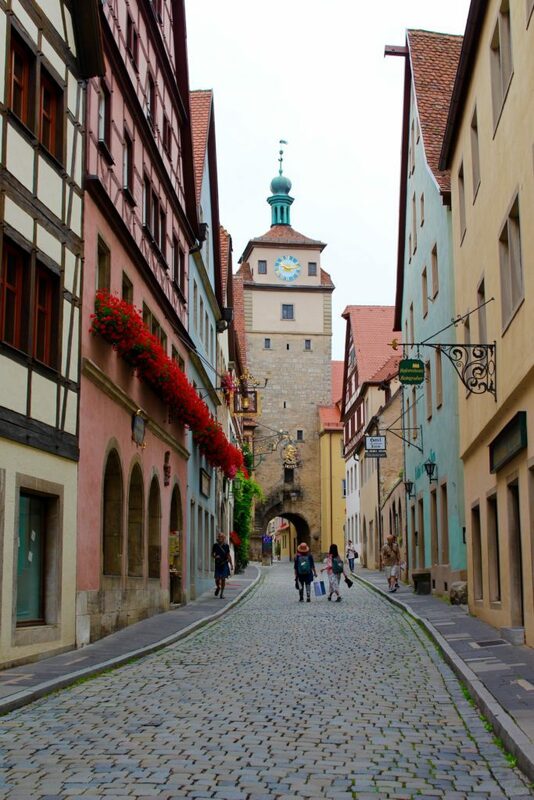 Rothenburg is more than a fairy tale town; it’s a dreamland. And it still blows my mind now, to know that it actually exists in real life. You need to go, too. 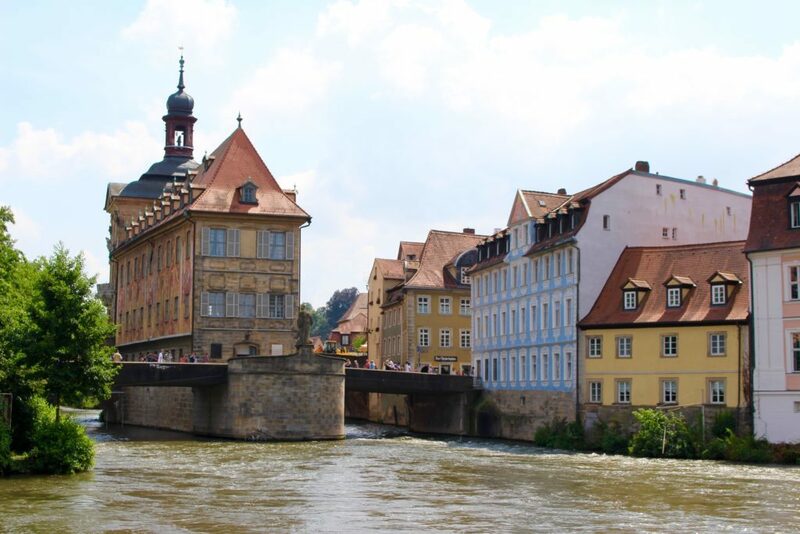 Bamberg is another fairy tale town in Germany that was left mostly untouched during World War II. This town usually flies under travelers’ radars, but Viking River Cruises changed that for us. 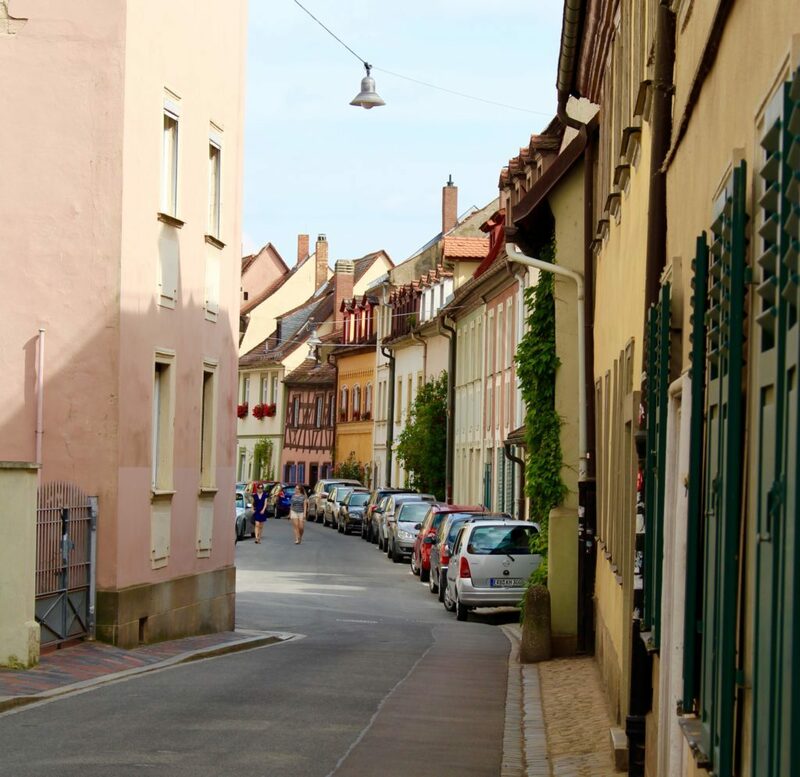 Bamberg may be a small city, but it’s full of life and character. Buildings dating anywhere between the 11th and 19th centuries line the city’s old town, while people bustle along its cobblestone streets. When you want to escape the crowds, though, the riverbanks allow for peaceful strolls and the most stunning views of boats floating by, past jaw-dropping medieval architecture. 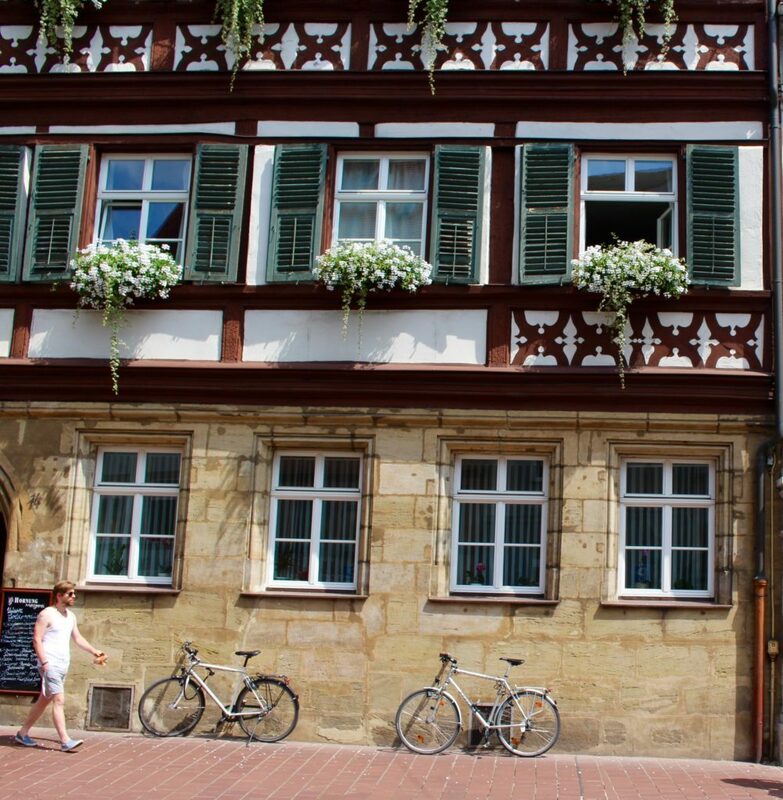 While in Bamberg, you must do one thing: try Bamberg’s Original Schlenkerla Smokebeer. If you’re a beer drinker, you’ll love this dark, smoke-flavored brew; and if you don’t like beer, well, try it anyway — you might be surprised! 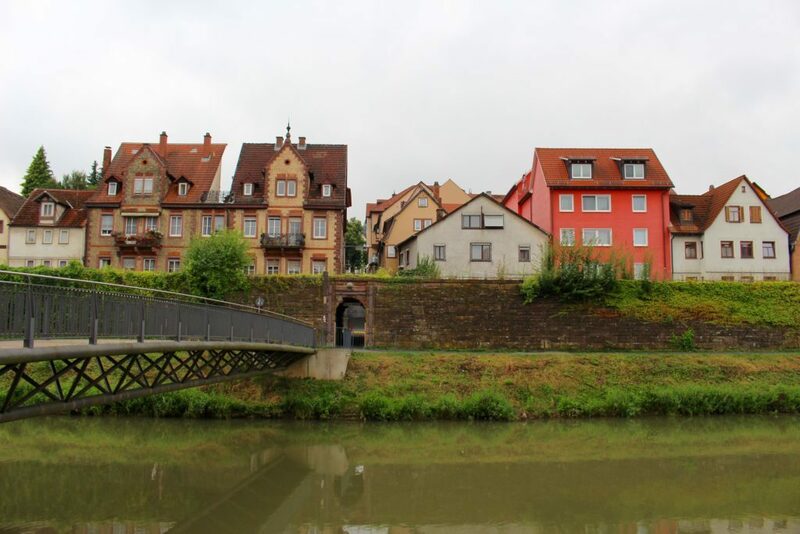 The charming town of Wertheim is situated at the confluence of the Main and Tauber rivers, and is home to a population of just over 24,000 people. 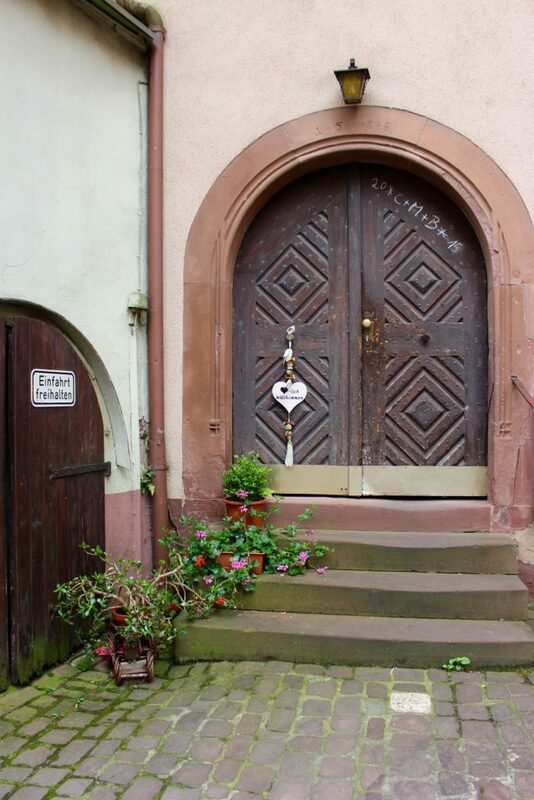 Of these five fairy tale towns in Germany, Wertheim is the least touristy. As we explored the town, the only foreigners we spotted there were ourselves! 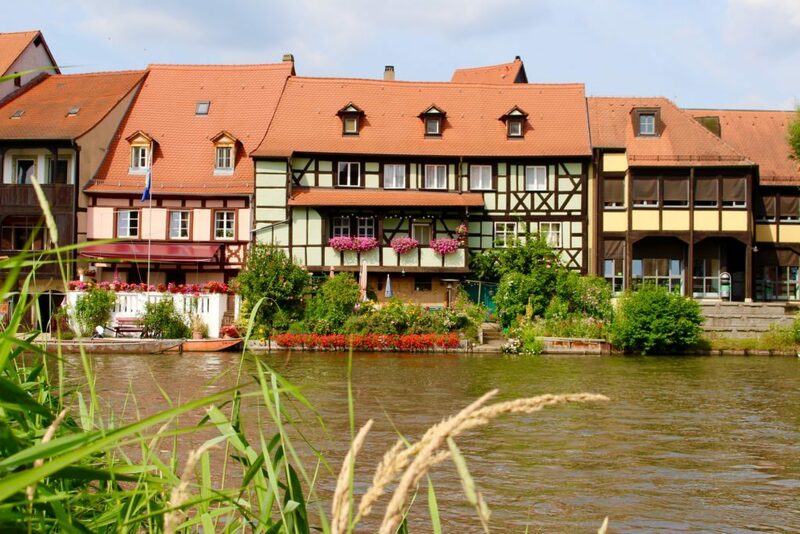 Between the Wertheim Castle, the beautiful medieval buildings, the Glass Museum, and the peaceful river views, there’s no way you won’t love Wertheim. So add it to your list! 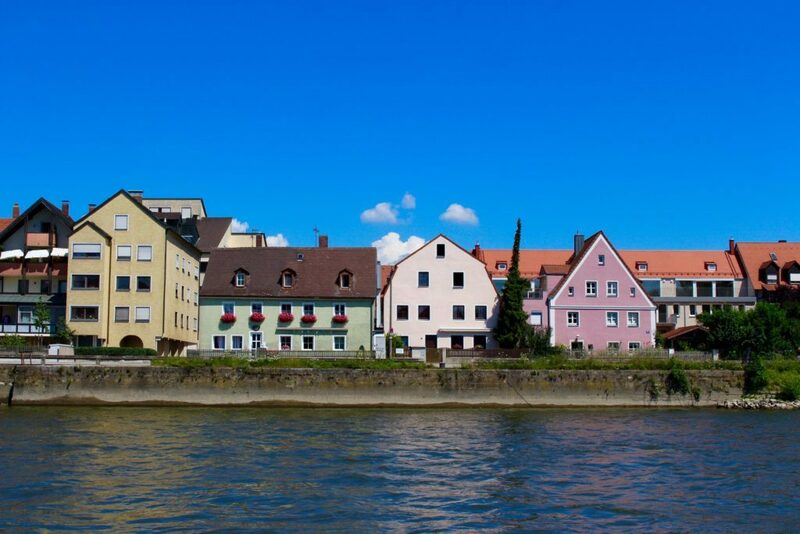 Visit Regensburg, and you’ll feel as though you’ve gone back in time, without ever leaving modern day. 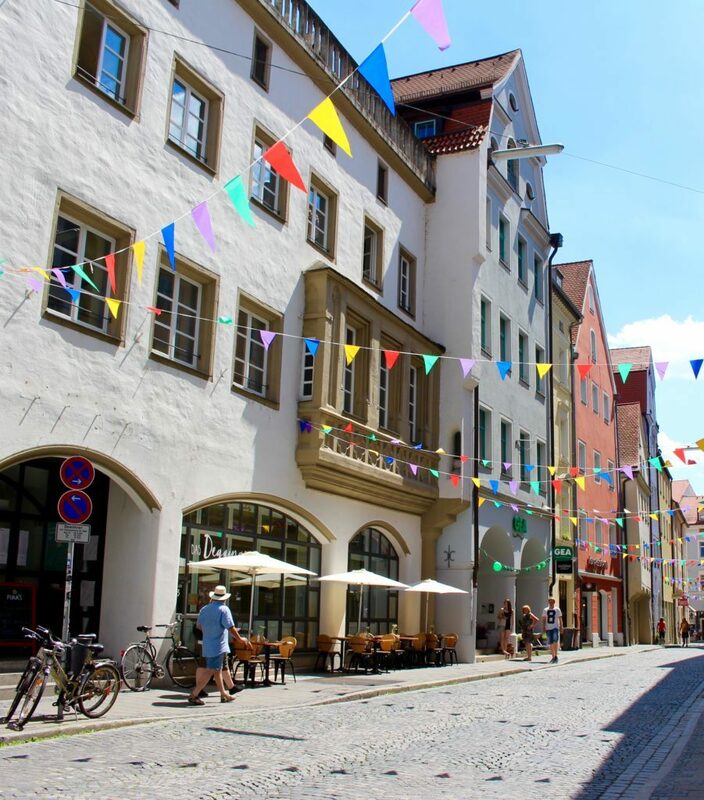 Regensburg is a must-visit fairy tale town in Germany for its many outdoor biergartens, its enormous gothic cathedral, cobblestone streets, and old, brightly colored houses. Regensburg is almost perfectly preserved, with buildings dating back hundreds of years — its famous stone bridge, which crosses the Danube River, still stands from 1135! 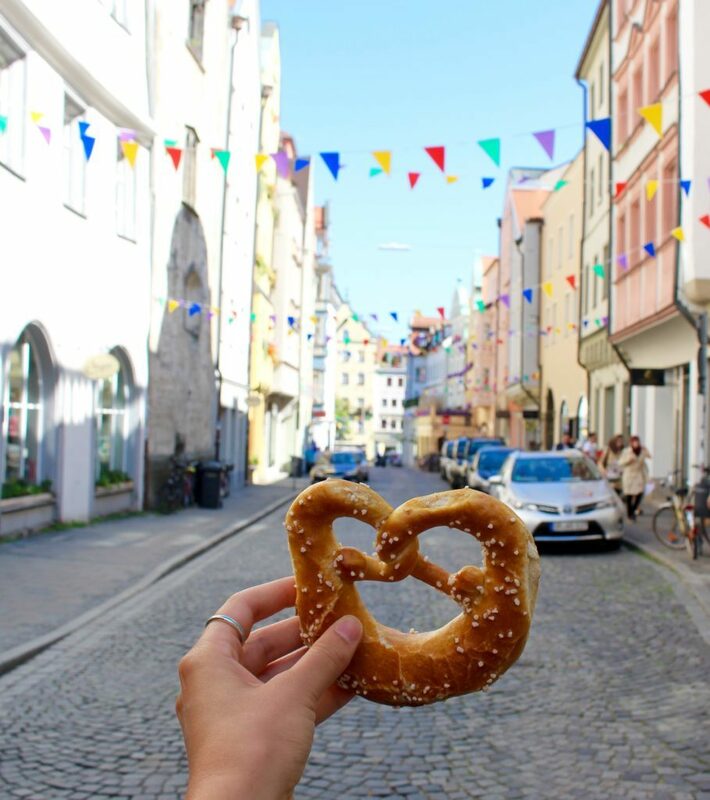 In Regensburg, carts selling pretzels and bratwurst line the streets, cafés sit on every street corner, and each alleyway is as quaint and picturesque as the last. 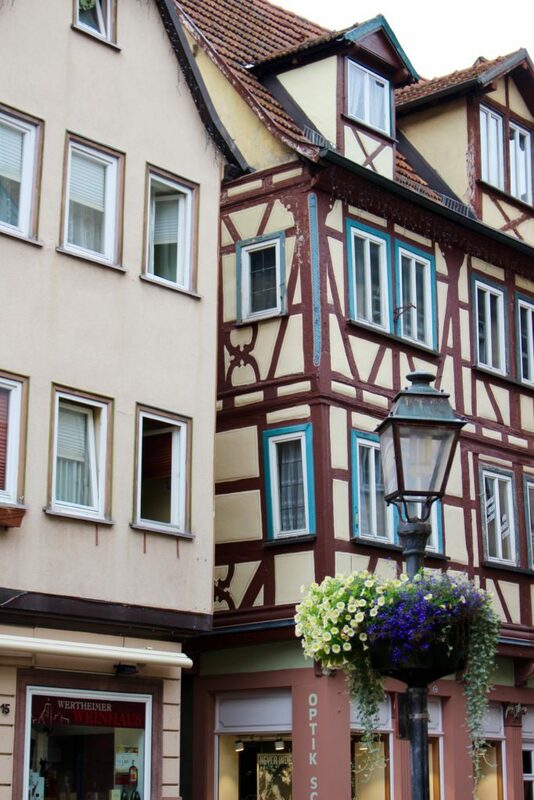 If you haven’t been to this fairy tale town yet, you’re surely missing out! 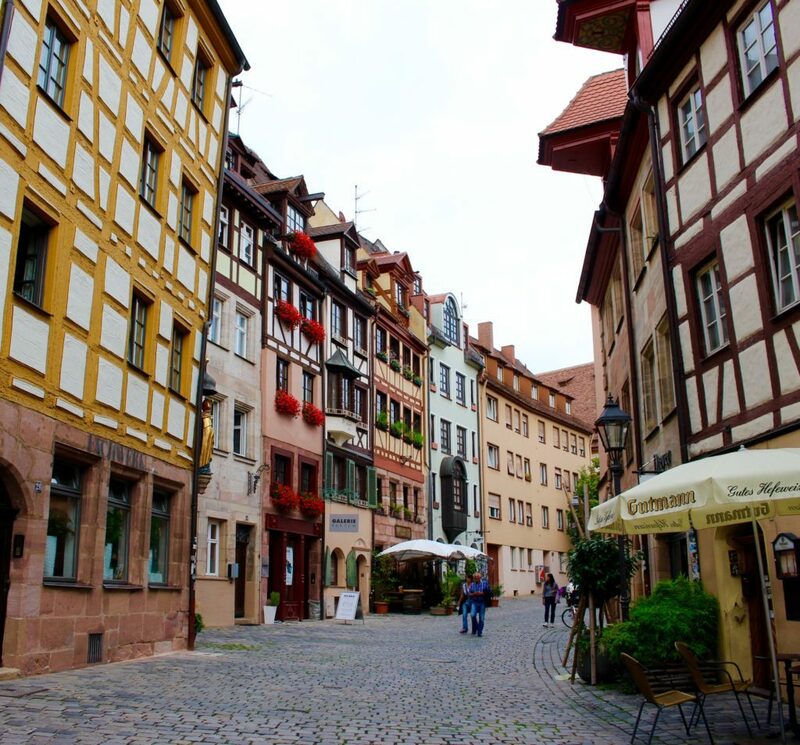 Nuremberg is most famous for the Nuremberg Trials that occurred after World War II, so you know that it’s full of fascinating history and important sites! 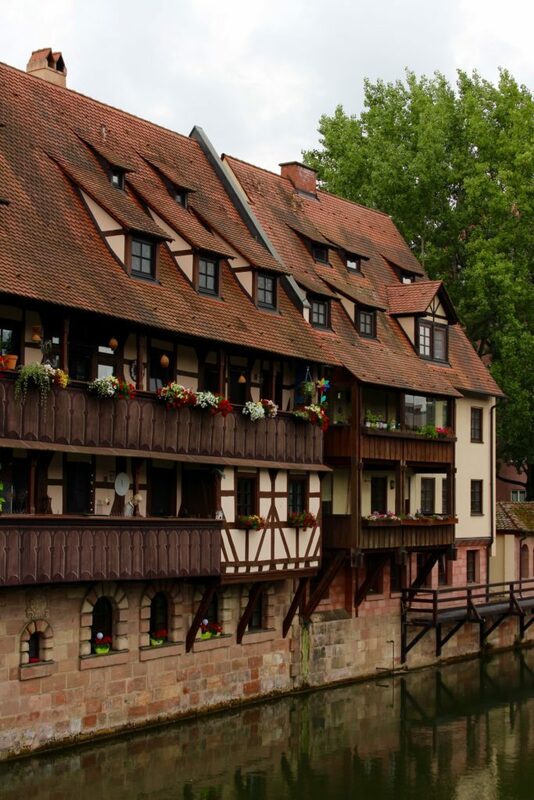 But beyond Nuremberg’s riveting history, lies a beautiful fairy tale city. The canals, biergartens, quiet alleyways, and the main square’s farmer’s market are good places to start. And if you’re lucky enough to visit during Christmastime, Nuremberg plays host to Germany’s most famous Christmas market, Christkindlesmarkt, where you can indulge in gingerbread, glühwein, bratwurst, roasted almonds, and everything else Christmas! 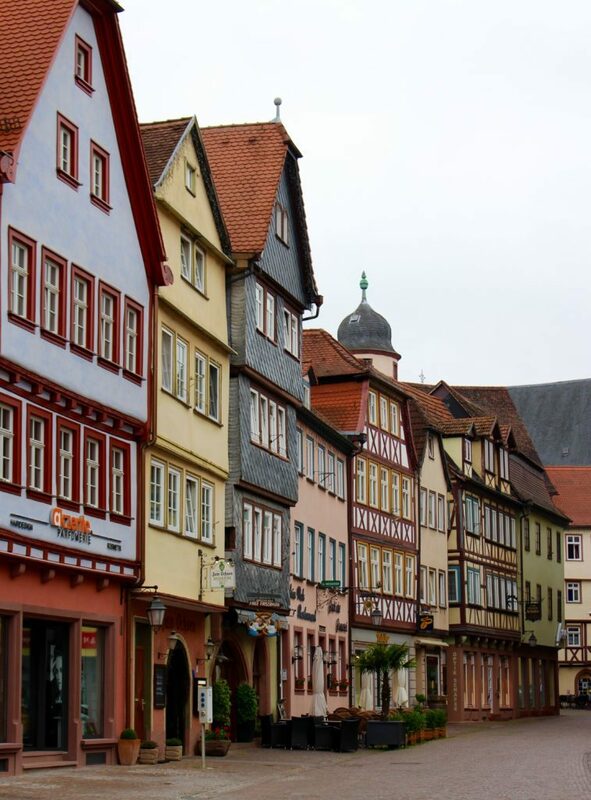 We visited these five fairy tale towns in Germany while on a Grand European Tour with Viking River Cruises. 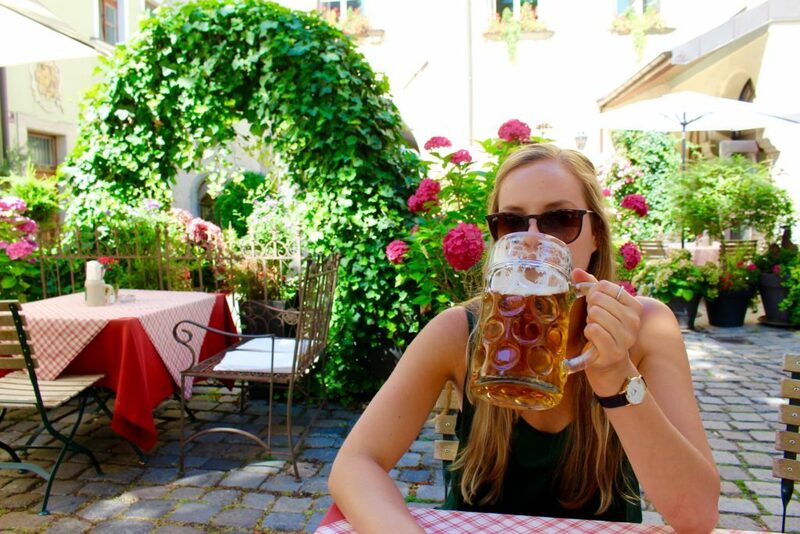 Over 15 days, we cruised through Hungary, Austria, Germany, and the Netherlands, stopping in the most incredible villages and cities, and we had the time of our lives! If you’re planning a trip to Europe soon, we can’t recommend this cruise itinerary enough. It’ll be a life-changing experience that you’ll never forget! All the details: four countries, 15 days, 13 towns and cities, 12 guided tours, from $3,899 per person. For more information, click here! 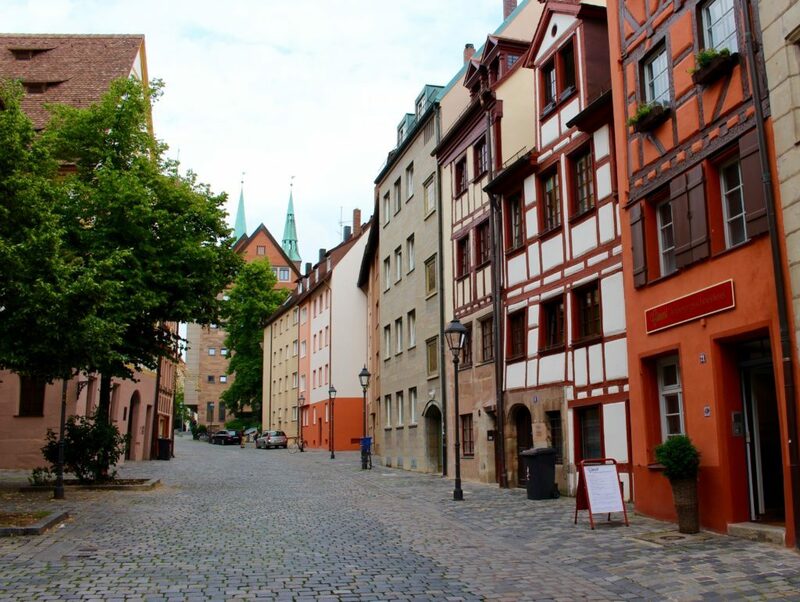 Have you visited any of these fairy tale towns in Germany? Which is your favorite? If not, have you added any to your Germany bucket list? Travel Alphas embarked on the Grand European Tour as guests of Viking River Cruises, but as always, all opinions are our own! All these towns really do look like they are from a fairy tale! I love the colorful buildings and style of the architecture. Makes me want to visit and get lost exploring around these towns. Thanks for the tip! We’ll have to check Meersburg out next time! Try Gernsbach in the edge of the Black Forest, It’s very close to Baden Baden. I recomment you Bad Wimpfen next to Heilbronn. Urgently you should go to see it! I lived in Heilbronn. Loved it. Also, I suggest adding Heidelberg to the list. Not a little town but definitely a great place to visit. The castle is gorgeous. And if you can make it to the lighting of the castle it’s a never forget experience! You forgot Esslingen am Neckar! Beautiful place germany, my frined vist next month. Urgently you should go to see it! Great post on Germany. 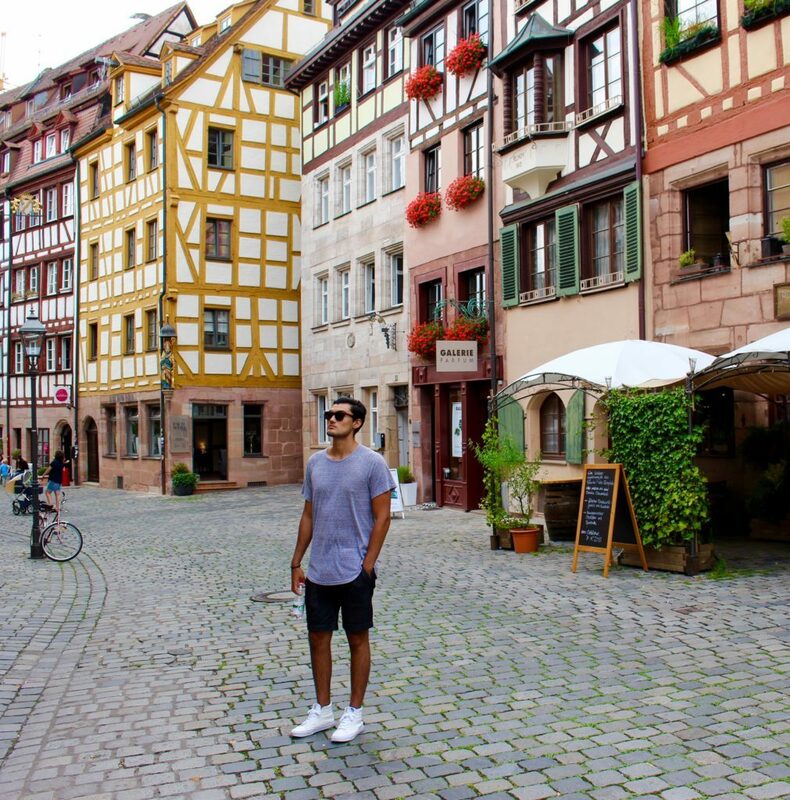 We spent three weeks last summer exploring the divergent sides of Germany. We snapped over 5k in photos. It is a Beautiful place to visit and should be on the top of anyone’s travel list. Agreed! We’re glad you enjoyed your trip and thanks for your input. 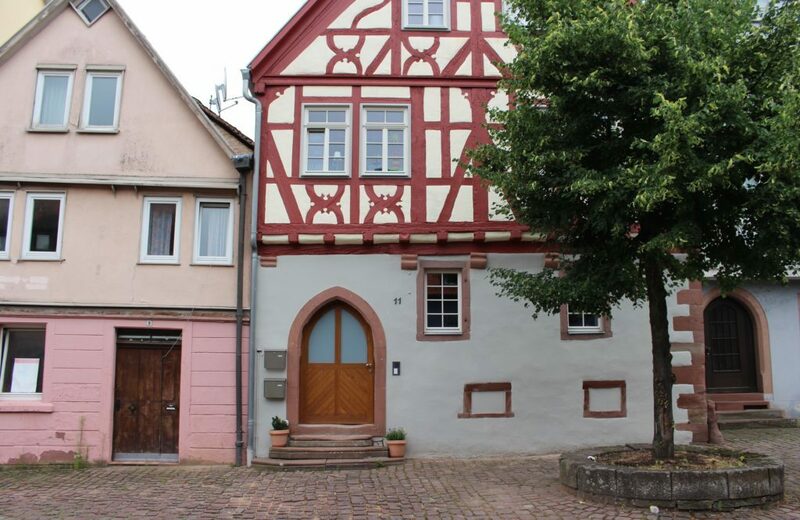 I lived in Wertheim in the late 1970s. There used to be a US Army base at the top of a nearby town. It looks like you missed it, but up near the middle ages fountain at the head of the town (dedicated to the victims of the black death), there is a small restaurant where the owner display a license plate, bearing the US flag and “God Bless our Country”. This town is well known to Americans in times past. It’s in Reinhardshof, at the top of the hill opposite the castle. I used to see the castle walking down the hill. Back then, there were no trees lining the road and there was an open view of the town and castle. If go there, continue to Vockenrot and visit Gasthof-Hotel Zum Ross. They have a great restaurant. I used to visit there often when I live there, and I see it is still there. How awesome! Thanks for the tips, Robert. I loved Nurnberg. Very pretty town. Full of German history. Tbe walk along the river is gorgeous. Also have been to Bamberg and found that charming. Another favourite that has been left out is Dresden. Very different to thd medieval towns and hosts great baroque architecture. . Thank you! One of my dreams is to visit Germany and see the fairytale towns and castles. These will definitely be added to my list! Your pictures are beautiful! Aww! They’re all so sweet. As a British person living in Germany, I’d say that Nuremburg is the best town on the list! Another place to consider would be Trier. I’ve only been to Trier once. It’s the oldest town in Germany and even has a Roman Colosseum. I was most impressed! I looked through the Viking Tour website and it seems as if there’s some type of payment plan. I can’t find any direct answers, but do they accept payment installments up until the time of the trip? Hi Abigail, we aren’t sure about that. It would be best to reach out to Viking directly – try calling or emailing. I lived Wieisbaden…with the Taunus Mountain Range in the background and home of the famous Kurhaus Fasching Ball, the hot springs, plus the Rhine River and the spectactular castles along the river’s edge….I visited a few cities…some that come to mind are…Garmisch Partenkirchen, a ski resort in Bavaria, near the famous Zugspitze highest skiing mountain range, which is Germany’s highest mountain peak…and the fabulous Neuschwanstein Castle in also in Bavaria…then there is Oberammergau, where the Passion Play tours annually, and of course Munich and Vienna…all are a must if traveling Germany. 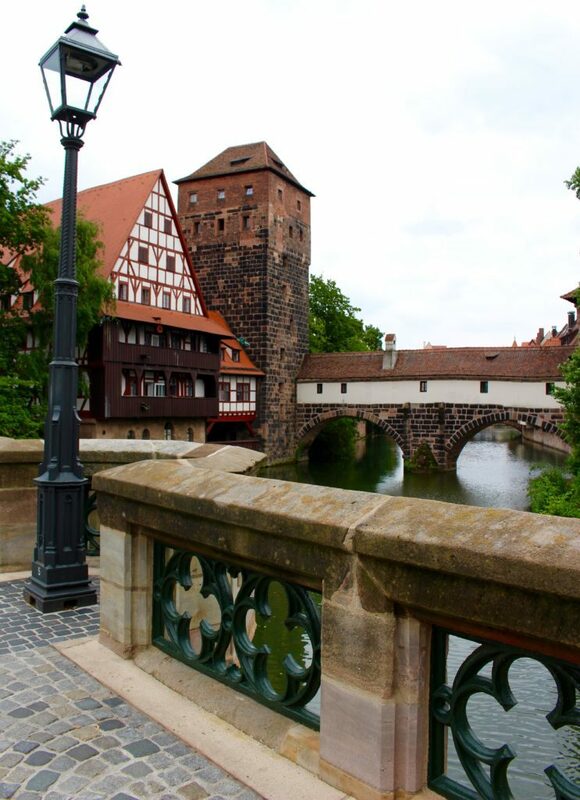 Oh and Nuremberg, a quaint but beautiful city along with Heidelbergs and it’s show…the burning of it’s castle. The Passion Play in Oberammergau is only put on every TEN years. 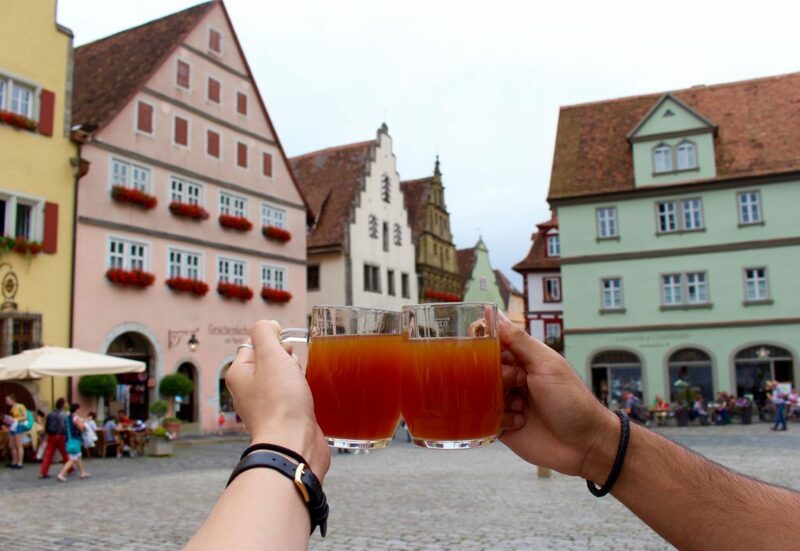 Don’t forget Rudesheim with it’s famous coffee drink, a must try! Your photos are beautiful! I’m planning a trip to Germany but haven’t decided yet on what time of year I want to go. 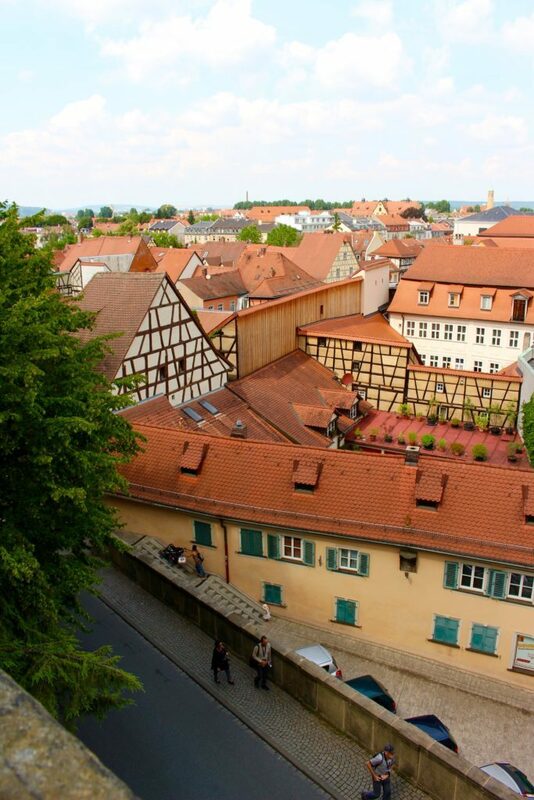 Rothenburg, Bamberg and Nuremberg are all on my list! I noticed your pictures look very absent of people, which to me is appealing not having to deal with large crowds! Do you mind sharing what month your trip was during? Schwäbisch Hall, tiny but super pretty. Thank you for this post! We’re researching places to visit in Germany on our upcoming trip and we were looking for some fairy-tale cities to add to the itinerary. This is just what we needed! These pictures are a feast! But we found it a bit tough to find the town names. Maybe add a contents section at the top? Love your website! Your view of Germany is very interesting. I foget sometimes how beautiful it could be :). 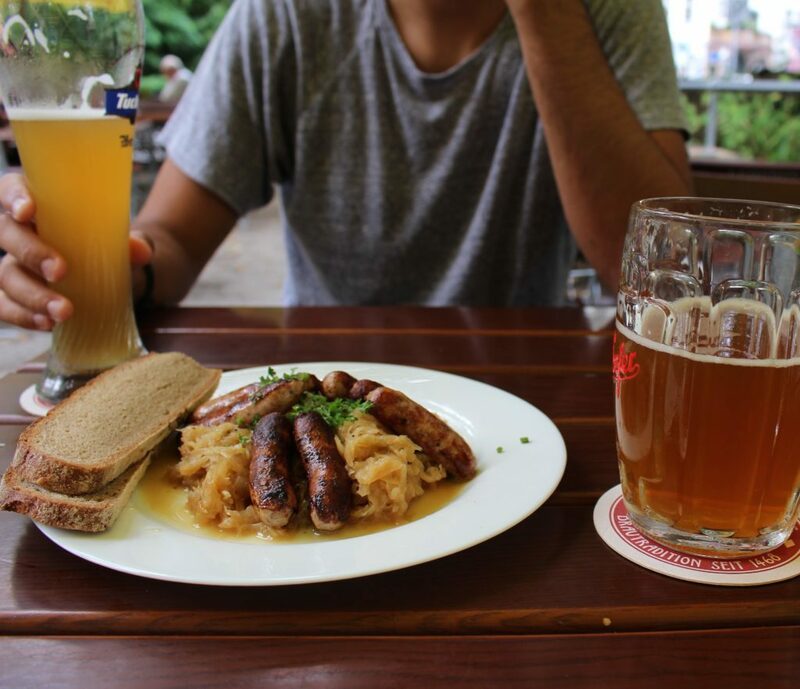 But, one thing I have to say: Yes, beer is great in Germany and they drink it all over the country (exept of me;)) But: there are 16 states in Germany and the big beer and Sauerkraut with sausages are a tradition of one/two of them – Bavaria and Franken. The other states have there own meals and alkoholic drinks also traditions. If you visit the Mosel (a river) there ist all full of wine and so romantic. The food is higher cuisine and the towns are very old. In Hessia, the middle of Germany, they drink cidre and at the springtime Grüne Soße, which means green sauce and made with fresh herbs and milkproducts. It’s eaten cold with potatos. There lived once Goethe and the Brother’s Grimm and in few towns you could see it.